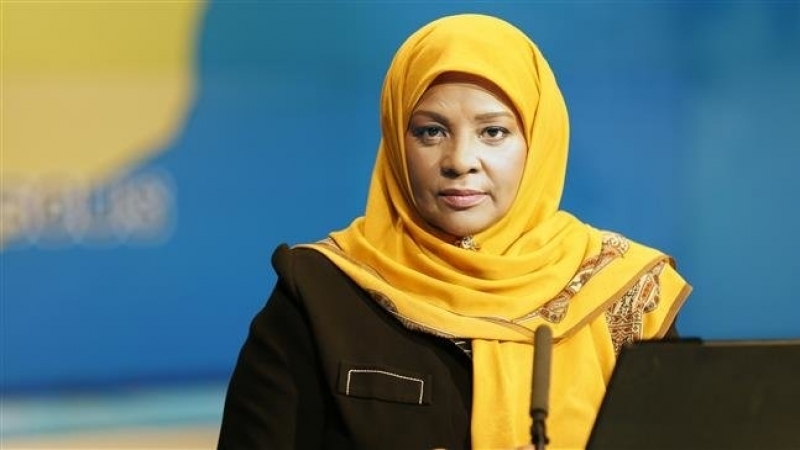 What are we to make of the Trump regime’s illegal detention of PressTV’s lead anchor Marzieh Hashemi (since released)? Obviously Trump’s National Security Advisor John Bolton and Secretary of State Mike Pompeo want to ramp up hostilities between the US and Iran. But kidnapping and abusing such a sympathetic figure as Marzieh Hashemi seems unlikely to serve their interests. • A fake “Mexican attack” on April 25, 1846 launched the so-called Mexican War, which was in fact a US invasion, occupation, and annexation of half of Mexico’s territory. • A fake “Spanish attack” on the USS Maine in 1898 was used as pretext for the US to invade and occupy Spain’s colonial possessions. • The orchestrated sinking of the Lusitania, and the false flag Zimmerman telegram, prepared US public opinion for entering World War I against Germany on behalf of international Zionism. • The Pearl Harbor catastrophe, orchestrated by US president Roosevelt’s brain trust through an eight-point plan, incited the American people to enter World War II. • The fake Gulf of Tonkin incident was the pretext for massive US escalation in Vietnam. • The mendacious “Nayirah testimony” before Congress enabled Gulf War II against Iraq. Unfortunately for Clawson and Bolton, and their bosses in Tel Aviv, the Trump regime’s clumsy and cruel kidnapping of Marzieh Hashemi is unlikely to rally US and global public opinion against Iran. Ms. Hashemi is a personable and sympathetic figure, especially when compared to the likes of Trump, Pompeo, and Bolton. “Operation Get Marzieh” will likely backfire by publicizing the work of Ms. Hashemi and her colleagues at PressTV. In hopes of stimulating interest in Marzieh Hashemi and PressTV, I submitted an op-ed to The Capital Times, a Madison, Wisconsin mainstream newspaper (see box below). The Trump regime’s racism and Islamophobia were on full display in their horrific, degrading treatment of Ms. Hashemi. 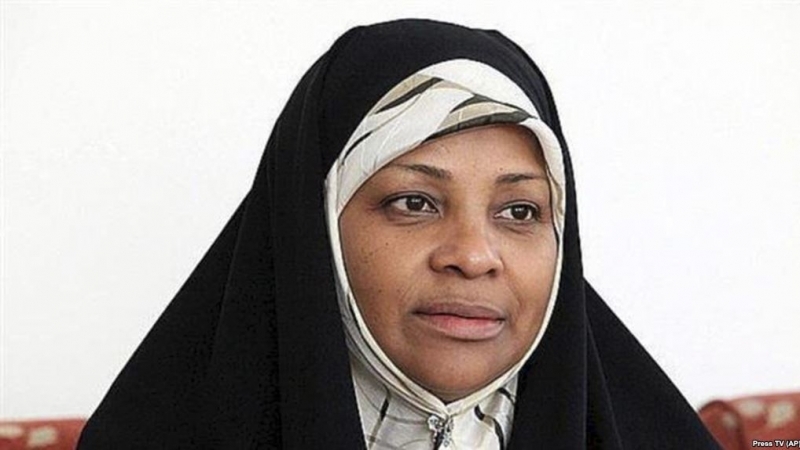 Stripped of her hijab and her clothing, given only a T-shirt, cruelly offered pork meals, denied halal food, and handcuffed and shackled for no reason, Marzieh Hashemi has clearly been tormented and scapegoated by professional haters. Like grade school bullies who pick on smaller children, Trump’s thugs reveal their inner insecurities as they indulge in such abusive behavior. The whole incident smacks of gratuitous viciousness. 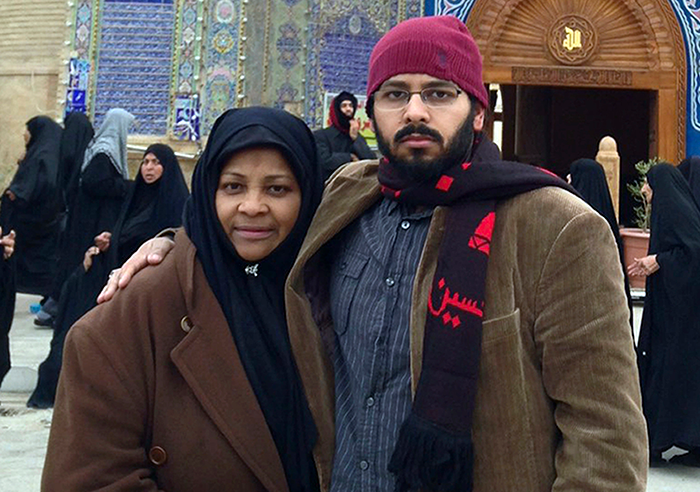 Why would they bother to arrest Marzieh Hashemi if their purpose was, as they claim, to have her testify before a grand jury? In 999 out of 1000 cases, prospective grand jury witnesses are simply served a subpoena. 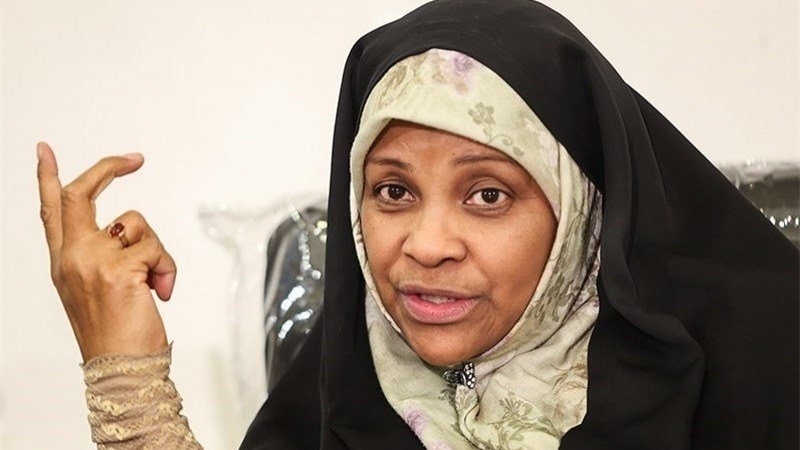 The excuse that Marzieh Hashemi is a “flight risk” is ridiculous, given that most of her family, including children and grandchildren, are in the United States. Would a devoted mother and grandmother really flee the country illegally in such a way as to never be able to return and see her loved ones? And what’s more, why wouldn’t she want to testify? 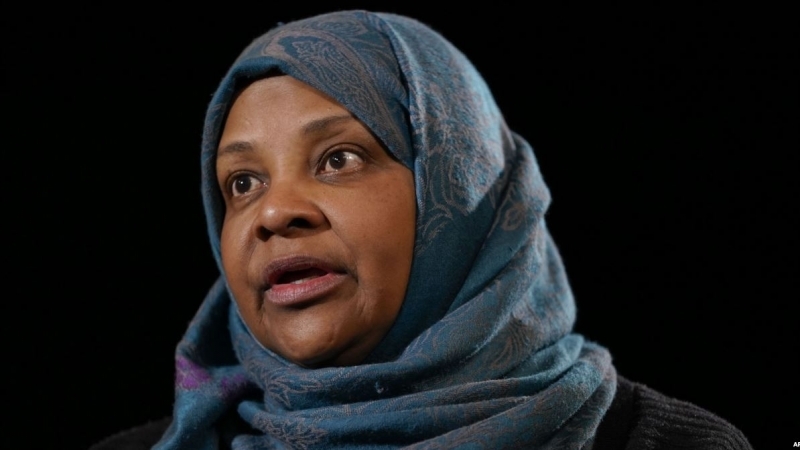 I have had the good fortune to get to know Marzieh Hashemi personally, and it is clear to me that she would not shrink from telling a grand jury exactly what she thinks — especially in a Trumped-up “foreign agent” case against PressTV (I can well imagine her explaining to the jury who the real “foreign agents” are)! I hope Marzieh points out to the jurors that people with various degrees of loyalty to Israel dominate America’s mainstream media, yet never register as foreign agents. She might add that most of the biggest “American” think tanks are also steered by committed Zionists, and that Hollywood is a nearly 100% Zionist town, as explained by Joel Stein in his Los Angeles Times article “Who Runs Hollywood? C’mon!” Yet neither the think tanks nor the Hollywood studios have registered as foreign agents. Finally, she could call the jury’s attention to AIPAC, which controls the US Congress on behalf of Israel, as documented in the suppressed-and-then-leaked al-Jazeera documentary The Lobby… yet has avoided registering as a foreign agent for almost 70 years! PressTV, by contrast, is the only major international outlet that exposes the Zionist foreign agents who have taken over America. As such, it deserves support from patriotic Americans who are trying to reclaim their country from Israel’s apparatchiks. The grand jury should indict a long list of unregistered Zionist agents… and award PressTV, and Marzieh Hashemi, a medal for helping bring them to justice. Sadly, the Trump regime controlled grand jury proceedings are unlikely to veer in the direction of truth. Nonetheless the affair will not play out to the neocons’ advantage. Their willingness to risk such a reckless and strategically stupid undertaking is a sign of their increasing desperation. They have failed to inflict regime change on Syria; failed to avenge Hizbullah’s 2006 defeat of Israel; failed to crush the Palestinian Resistance; failed to control Iraq; failed to pacify Afghanistan; failed to subjugate Yemen; and above all they have failed to “force Iran’s oil exports to zero” and annihilate the Islamic Republic before its 40th anniversary, as John Bolton promised his MEK terrorist paymasters. No wonder they are desperate. It is too bad that Marzieh Hashemi was scapegoated and forced to pay the price for the neocon legacy of ever-escalating failure. Trump Administration Kidnaps International News Anchor — Where Is the Media? On Sunday, January 13, FBI agents kidnapped a top international news anchor at the St. Louis International Airport. 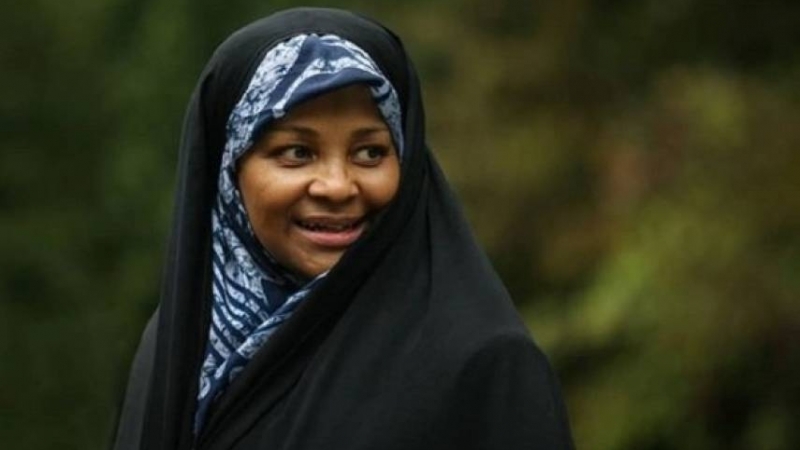 Marzieh Hashemi, lead anchor at PressTV, was secretly arrested without charges, shackled, and flown in an “extraordinary rendition” to an undisclosed location in Washington, DC. Finally, after a week of secret detention, federal judge Beryl Howell unsealed information that Ms. Hashemi was being held as a material witness to an unspecified grand jury proceeding. According to a Reuters report, sourced to an unnamed federal official, the grand jury is considering charging Ms. Hashemi’s employer, PressTV, with failing to register as a foreign agent. So why is Trump — or more likely Trump’s neocon henchmen, Bolton and Pompeo — picking on PressTV and Marzieh Hashemi? Perhaps because PressTV is the only major media outlet in the world that features unfettered free speech and free debate on issues that the Platonic guardians of America’s national security state have declared off-limits. I know this from personal experience. I have traveled many dozens of times to Channel 3000’s Madison studio where I appear via satellite on PressTV’s “The Debate” show. During those debates I have consistently represented the global Muslim-majority point of view on the so-called War on Terror — a point of view absent from mainstream media. My opponents have included State Department flacks, representatives of major Washington, DC think tanks, partisans of Saudi Arabia and Israel, and even an al-Qaeda enthusiast named Anjum Chaudhry. As is usually the case at PressTV, the range of viewpoints is vastly wider and more interesting than anything allowed by the gatekeepers of Western media. Anyone curious about what Muslims (and American dissidents) really think about current events should watch PressTV on a regular basis… while you still can (the US and Israeli governments have forcibly removed it from satellite TV, and the arrest of Marzieh Hashemi suggests they want to completely shut it down). Meanwhile, the US complains that Iran is holding a few Iranian-American journalists. If the CIA would end Operations Mockingbird and Ajax and stop using journalistic cover for agents tasked with overthrowing Iran’s government, Iran might stop arresting them as suspected spies. We need regime change in Trump’s Washington, not in Tehran. #FreeMarziehHashemi!